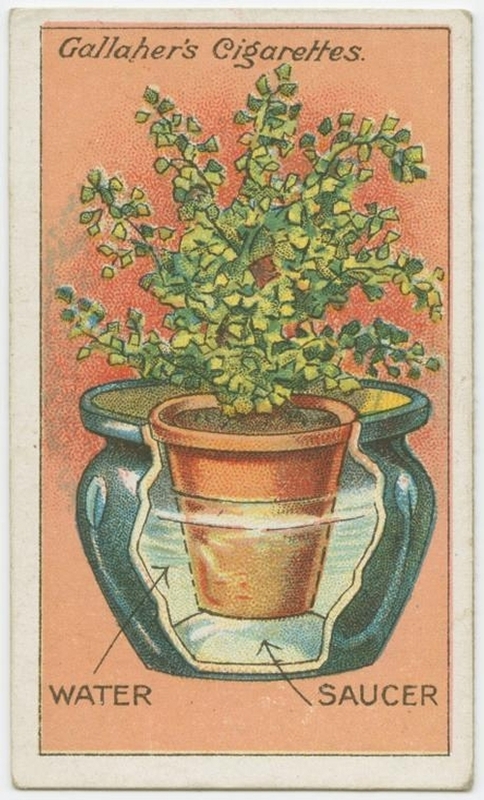 Cards that are going to help you workout solutions to everyday problems. 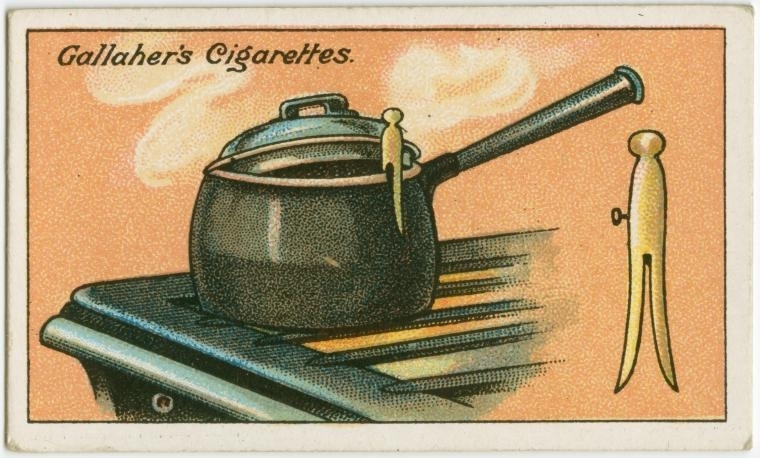 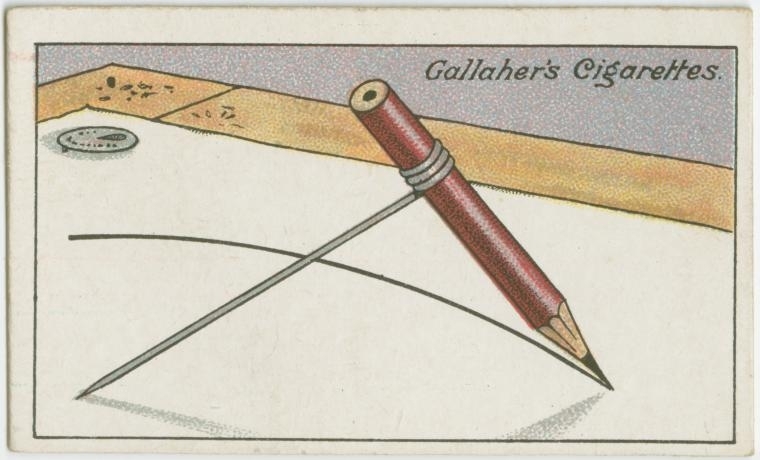 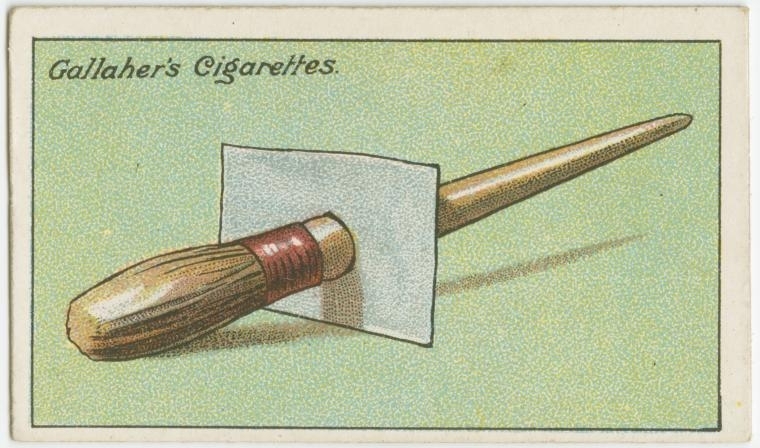 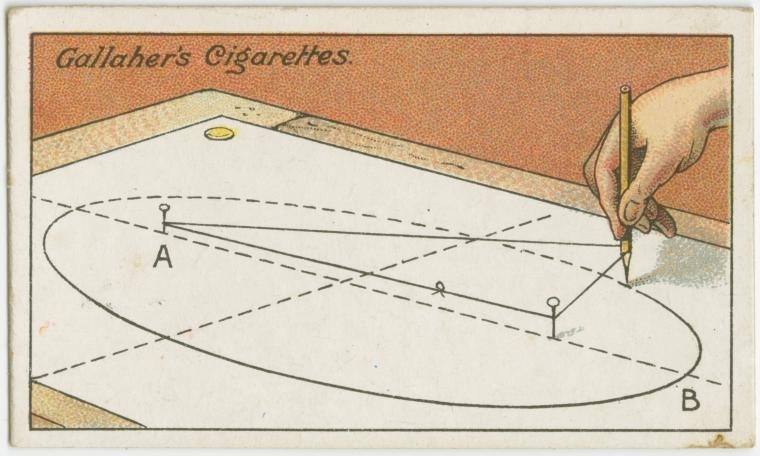 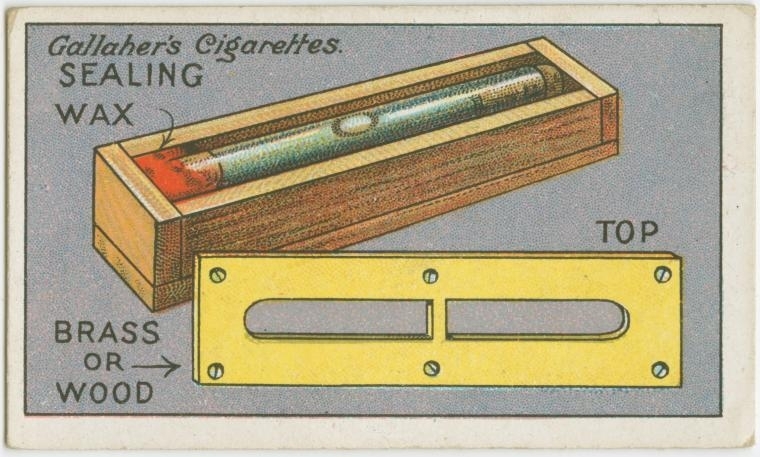 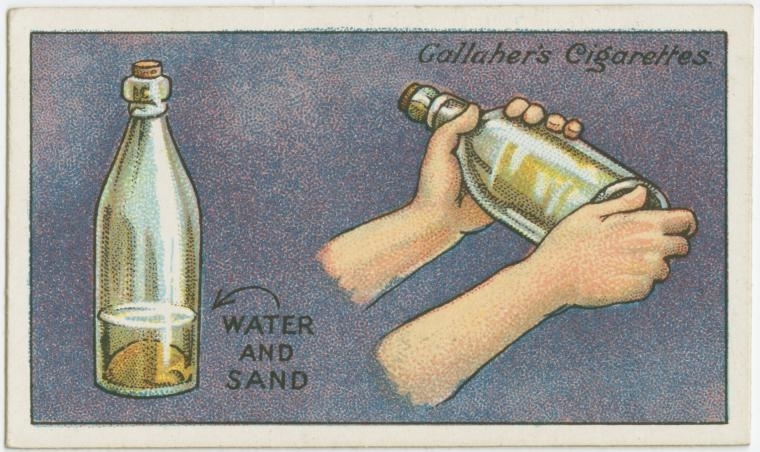 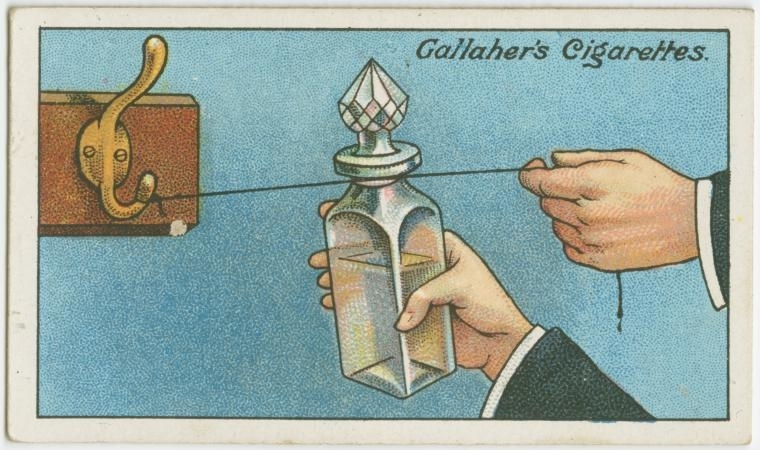 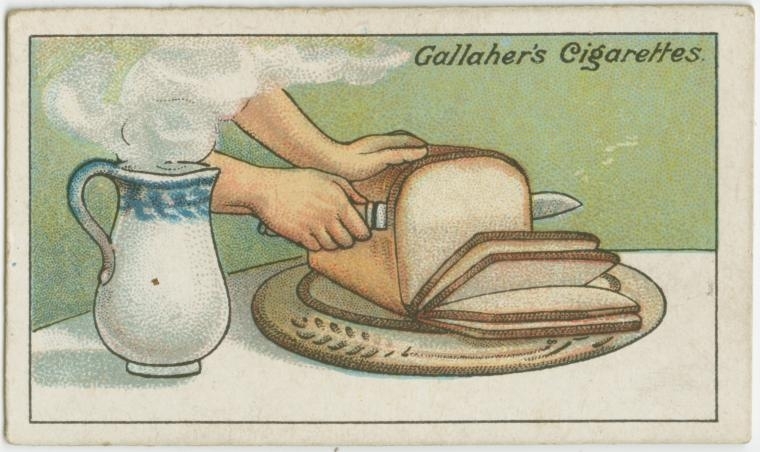 Between 1900-1910, tobacco company Gallaher decided to give an extra incentive to their smokers, by including in every packet of cigarettes, a helpful "How to" card. 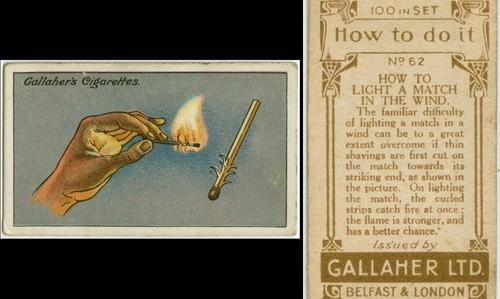 They are no fresh pair of lungs but, some helpful hints on how to get round day to day problems, we would now call hacks. 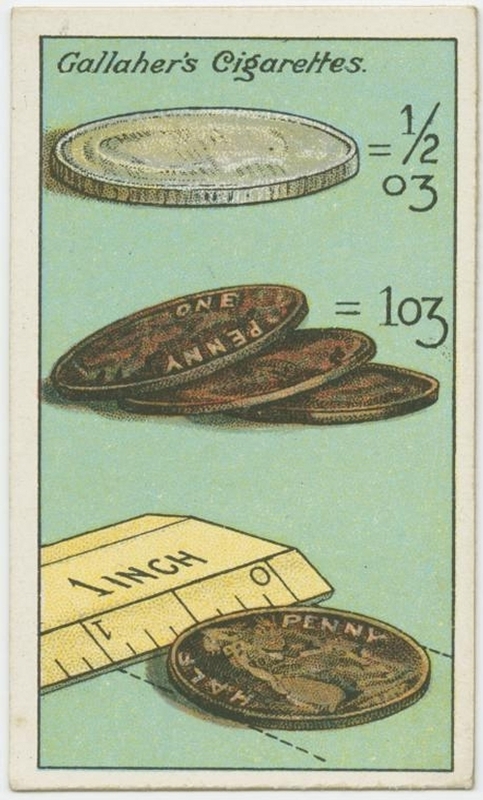 I have put together some examples below. 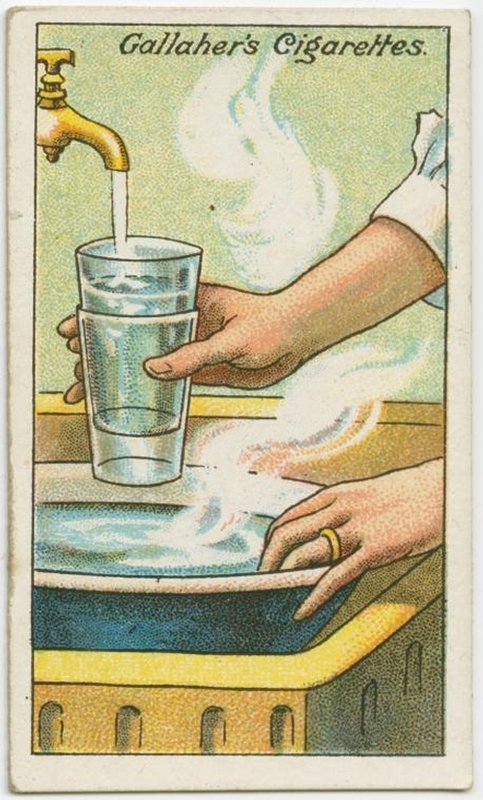 Each card came with an image portion and a description, that said they are pretty self explanatory so I just included the images and titles. 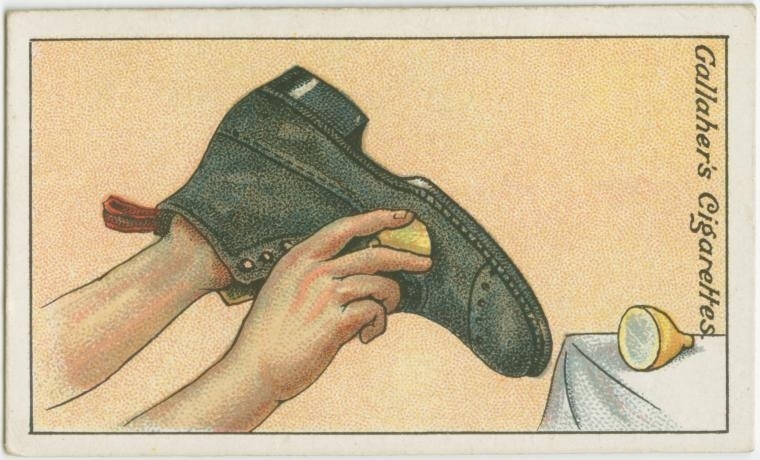 These cards are now collected in digital format, at the The New York Public Library. 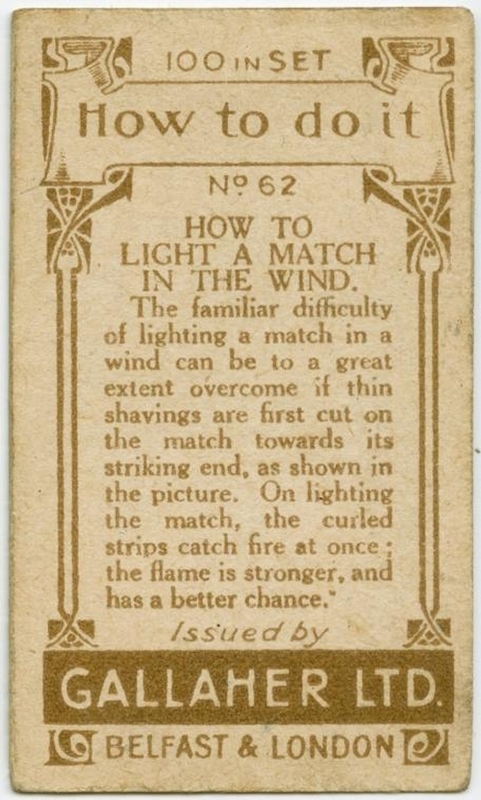 How to light a match in the wind - Explanation. 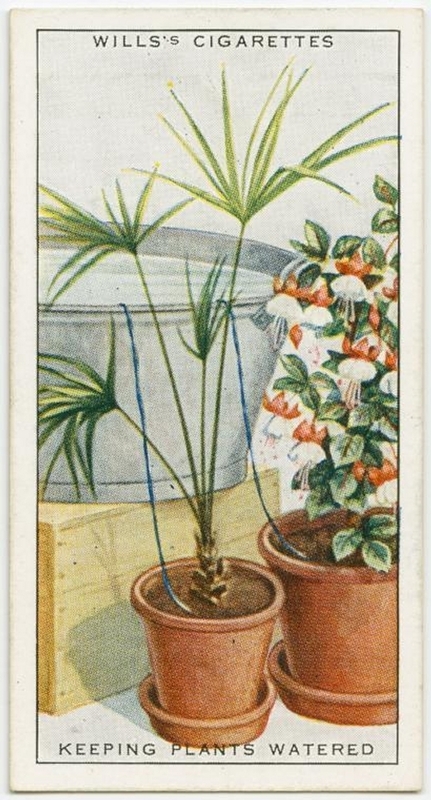 How to Keep plants watered. 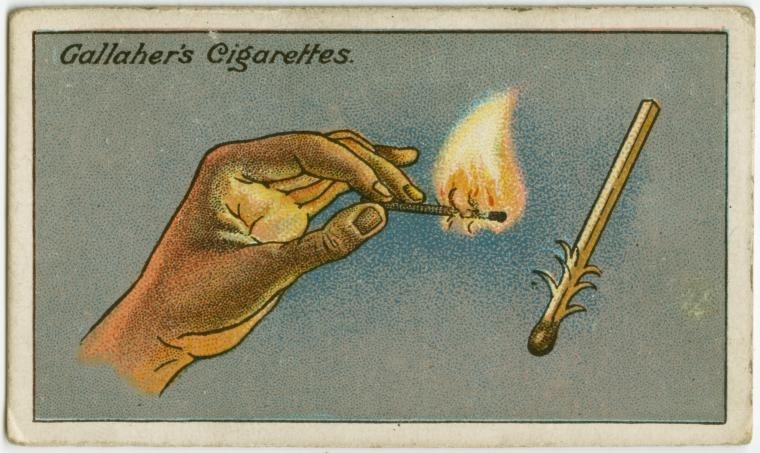 I Have no idea if this works.